I took a lot of photos with people I met, and many of them are good friends, but I never spent the time to organize them in a good way. Here is my attempt to make it happen. Sanjeev Singh and Jian Shuo Wang. 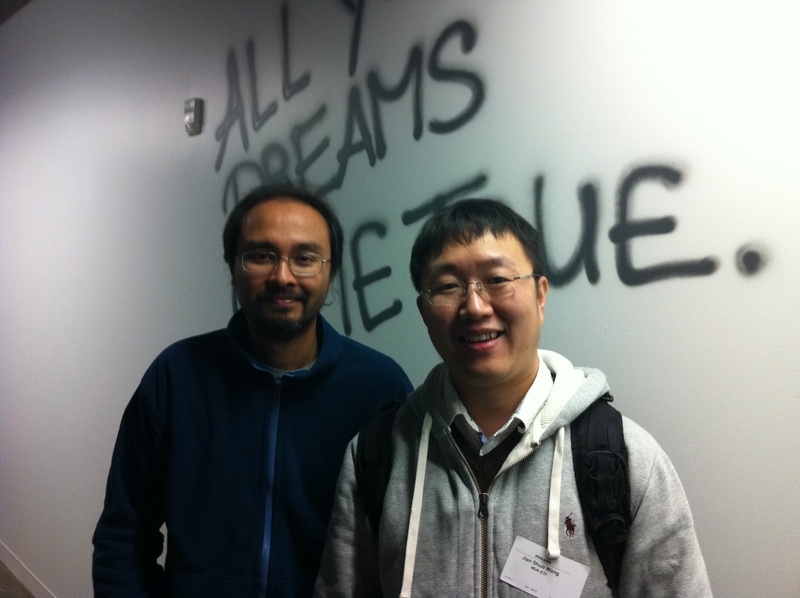 January 18, 2012 at Facebook Office in Melon Park, CA. Sanjeev was creator of Google Mail, and FriendFeed.com. I visited Sanjeev in Facebook after FriendFeed.com was acquired by Facebook, and had wonderful lunch together in the newly opened cafe. 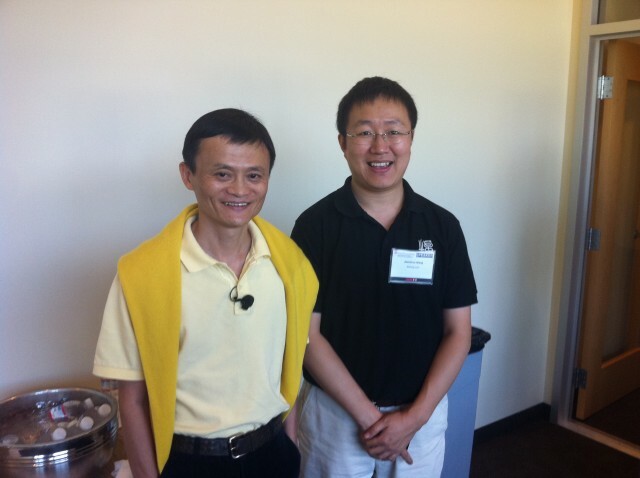 Jack Ma, President of Alibaba.com. September 30, 2011 at Stanford University, CA. We attended China 2.0 Conference by Stanford University and Jack delivered closing speech after my pannel. We met briefly at the backstage. Paul Halen, former China Director of National Security Council of White House. Taken in Oct 29, 2011 in Xi’an when we went to Karaoke together. Jan Berris, VP of National Committee on US-CHina Relationships (NCUSCR). 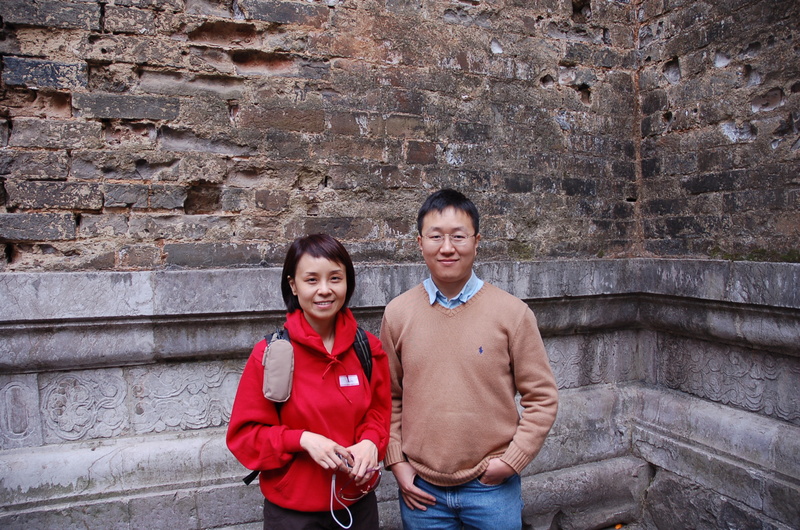 Taken on December 1, 2007 in Nanjing during the Young Leader’s Forum. Jan participated US-China relationship building from leading the US Ping-Pong team to visit China in 1971, and brought Jet Li to US. 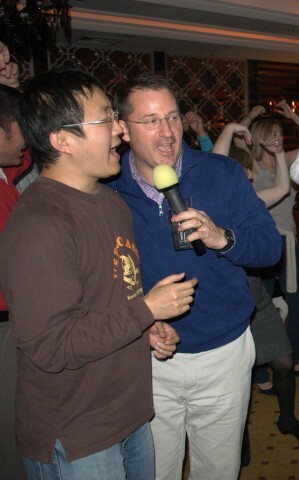 Zhu Tong and Jian Shuo. November 2007 in Nanjing, China. Rose Zhu served as interpreter of Zhu Rongji and Jiang Zemin. With Meg Whitman, former CEO of eBay, and currently CEO of HP. 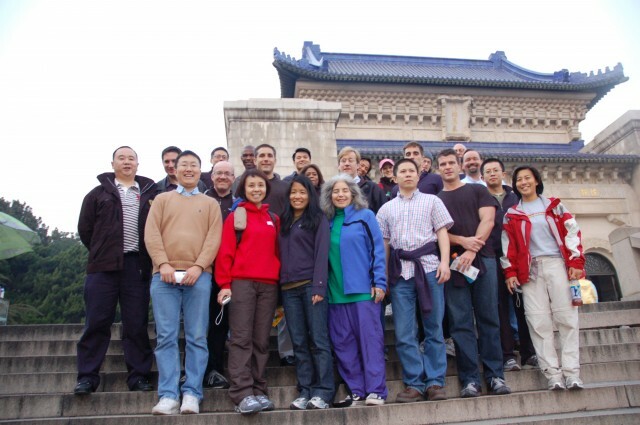 Taken on March 28, 2005 in Shanghai, China. 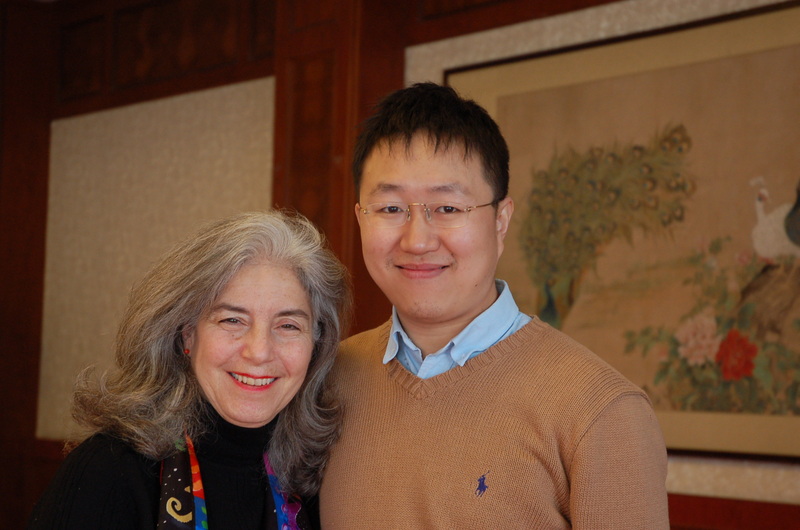 Worked with Meg for about two months in Shanghai during the summer of 2005. With Mark Zuckerburg, founder and CEO of Facebook. February 25, 2010, in Facebook, Palo Alto, CA. 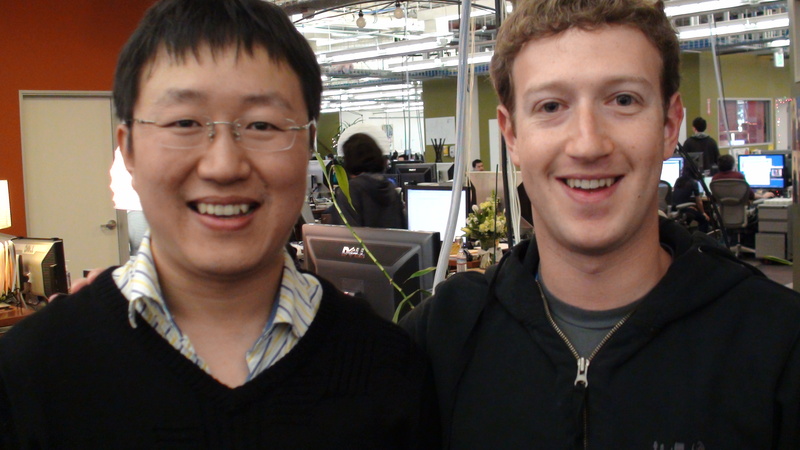 Mark hosted me when I visited Facebook office with Matt Colher. 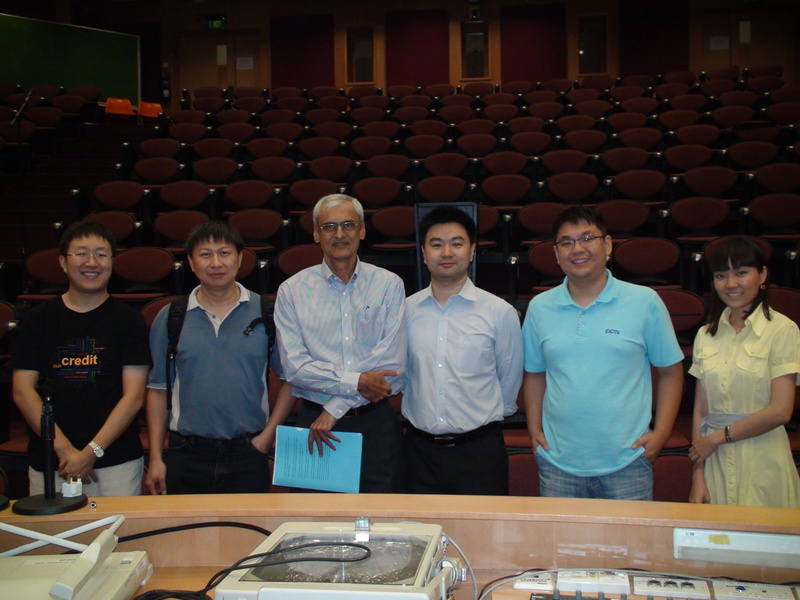 Photo with Prof. Tan when I delivered speech on September 21, 2010 at Computer Department, National University of Singapore. 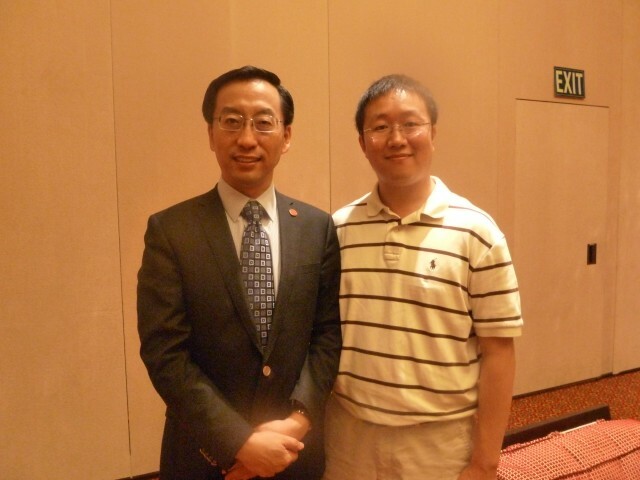 With Zhang Jie, president of Shanghai Jiao Tong University on October 3, 2011, in San Jose, CA. Today is the 10th anniversary of my blogging. Starting from Sept 11, 2002, with my first blog, I have been blogging for ten years. I cannot believe it! Ten year doing one thing everyday seems crazy for anyone, and I am surprised I am that crazy guy. However, the bad news is, I realized that I am not as calm and as peaceful as 10 years ago. With the increase of age, and increase of responsibility, it is harder and harder to sit down at the desk, and write something. Email flys in; mobile rings; Weibo checking; Yifan calls…. More importantly, within my mind, thousands of things flying to different directions. I heard something this morning: with the increase of age, especially after 35, there are too many distraction that few can stay calm and concentrated. It needs a lot meditation and understanding of what is important than the younger time. I believe I may entered another stage of life after 10 years of blogging. Look at the frequency, topic, and depth of the blog entries I wrote in the last three years, and I can clearly see the path of the declination in frequency, decrease in interestingness, and decrease in depth. I am full aware of it, and I know it is the competition of attention for me. The competition just get stronger when I am connected to more, and it is the time to cut something from my life. Look at the simple life of Yifan, and I know days are long for him. There are a lot I can learn from Yifan – to keep focused and keep doing the important things. That will be the word for my next 10 years of blogging. I created my first plugin when I created my CEO Blog. The problem is obvious: I am going to have a CEO blog where I can share my thoughts with the team frequently. I tried to write a different blog, and I found it is just impossible to maintain two. So I decided to put it on to my own personal blog. Although most of the articles are public in nature, I do have something that I hope to disclose to the general public later. I don’t want to have complicated OAuth based verification. A simple IP based restriction is good enough. There is no simple solution so I wrote one myself. You can download it, modify it, and do whatever you want. There are many hard code in the system – I never blame developers for doing dirty hacks when the time is limited, but we do need to polish it from time to time. I promise to add all the hard code to options, and create an admin panel for it, in the next version.